On the subject of things ta de, when ya nae cyclin', other things soon fill the gaps. The New Year snowfall in Lancashire made it unsafe to cycle for almost two weeks, but you could still just about walk, and the private road that runs to the top of Winter Hill from near where I live was kept clear by snow ploughs, gritters, and tractors so the staff who work at the TV transmitter at the top could get to work. So I walked up there several times instead of cycling, and in between went to the local Heritage Centre to find out more about this place whose history I know is interesting but of which I know very little. It's hard to imagine now, but Winter Hill, 1500 feet high, was once covered with forest. In ancient times, that is. More recently in the 1800s and early 1900s it was extensively mined for coal and is littered with old shafts and collapsed tunnels. Because of its height, and the fact that it's exposed on the South West fringe of the West Pennine Moors, over the years several aircraft have crashed into Winter Hill. The most disastrous was in 1958. 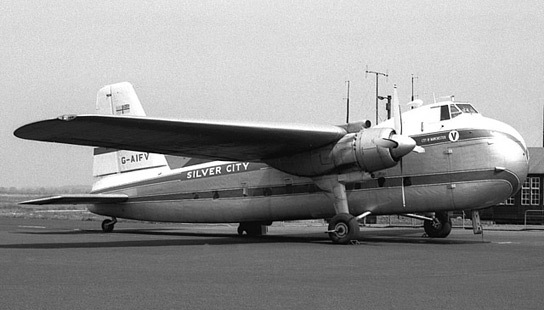 35 people from the Isle of Man were killed when a Manx Airlines (Silver City) passenger plane flying in cloud at 1500 feet crashed at the top – the country's eleventh worst loss of life from a non-military air accident since 1950 (the statistics). I remember the 1958 crash but never thought about where it actually happened, even though I've walked and cycled up Winter Hill hundreds of times. There's a memorial plaque on the building near the TV transmitter and a Rotary Club plaque on a stone gatepost nearer to the scene of the accident but nothing to mark the exact spot. Why is that, I wonder? No-one at the local Heritage Centre seemed to know where the plane actually crashed, nor how to find out, but they played me a 40-minute video about the disaster. The only hint was a still of a newspaper photograph taken at the time, from the air, which vaguely shows the crash site and pieces of wreckage. So I recovered the photo online from the newspaper's archive and decided the next time I cycle to the top of Winter Hill I'll make a point of going to the scene of the accident. That was yesterday, beginning my first decent cycle ride of 2010. When it hit the ground the Bristol 170 (a freighter converted to carry passengers) didn't disintegrate completely. The Manchester Evening News caption to the 1958 photograph above is: "Wreckage was spread over the area," but the tail section remained fairly intact. Seven people survived, including the pilot and a few others who were mostly sitting at the back of the plane. The foreground of the picture above appears to show the tail section pointing right, and in front of it, pieces of debris strewn over the hillside. Or does it? I'm not sure. The Aviation Safety Network's web page states that the aircraft crashed on the "northeast slope of Winter Hill, at a height of approximately 1460 ft," which tallies with statements that it would not have crashed had it been flying just "ten feet higher," and the fact that the staff at the TV transmitter station no more than a couple of hundred yards away heard nothing of the impact. Comparing the 1958 newspaper photograph with the terrain on Google Earth I fixed some geographical co-ordinates and rode up on my bike. At a bend in the road I lifted the bike over a style and humped it across the boggy moor until my GPS indicated I was at the spot. The masts in my photos are not the same as the one shown in the older photo, which was replaced in the 1960s with the huge one that is there now. And there's no sign of the crash to be seen on the ground 52 years later. The metal detector brigade will by now have recovered every fragment, but I might go there again in the Spring and take a closer look. For now, it's back to cycling. After taking my photos I rode back down and met up with a friend. Then we cycled about thirty miles. What strikes me about all this is how we're oblivious to the history of landscapes we cycle through. It's just a landscape, often beautiful, always a pleasure, but mostly unknown to the past. It makes me think I should not take it so much for granted. Posted by Patrick on January 18th, 2010. What a fabulous story Patrick. Well, not really, if you get my drift, the loss of life is never something to say is fabulous, but I really enjoyed reading this bit of history. This aircraft crash is still spoken about on the island, but I did not realise it was so near. The photographs are stunning, and show what a bleak place in winter, even the most scenic landscapes look when they are devoid of warmth, birdlife and greenery. Interesting post, thanks a lot. I too have wondered about the aircrash, bought a book via Ebay "The Devil Casts His Net", the complete story of the crash. My own idea of where the crash took place, or t least the final resting place of the aircraft is at the side of the northern fence corner by the rocket shaped mast. There is a map in the book that seems to indicate this. There is nothing left on the ground now, but it was said that the vegetation is sligtly stunted in that are due to the fuel that has contaminated the ground. Bit of a late reply, you may be well aware of this detail by now? G-AICS crashed at ref 662 149 at the height you state. There were half a dozen plane crashes on Winter Hill, but nothing as disasterous as this one. Driving my HGV up and down the M6, and especially along the M58 as I did tonight, have done many times, whenever I see the red lights on the mast I think about the air crash and decided this evening to do some Googling. I would be 11 at the time and the incident has always stuck in my mind. I'd had it in my head that it was a Viscount and in the 60's but reading this brought the newspaper reports back to me. Very well written, thank you. And guess what? I've some old Meccano Magazines from around that period and I'm sure one shows a photo of a similar plane. I'll dig 'em out and maybe get back to you! Yes, please do! I loved Meccano as a child and still have my set in the loft. I wrote a longer one about the disaster a while ago: The Winter Hill Air Disaster. Strangely enough I haven't cycled much up there this year. At one time I'd make it the start of every outing. My grandfather was an ambulance man who attended the 1958 air disaster. My mum still has the letters sent to him from the ambulance chief, thanking him for his service at this event. The weather conditions were terrible even for the emergency services. Thank you for this fascinating and well-written article about the Winter Hill disaster. At the time my family lived on Whalley Ave (which was – and still is – just about the most northerly street in Bolton: walking north-west from there would eventually take you across Colliers Row Rd and on up to the TV mast), but I was only 6 years old then, so don't remember much about the disaster; but I do have a vague memory of there being a bit of a 'kerfuffle' (as thay say) about a plane crashing on the hill. Coincidentally it turns out that the view from the front bedroom of my current house (which I think was being built at the time of the crash) looks directly at the spot on the hill where the crash occurred. Regarding your uncertainty about whether that aerial photo does show the tail section facing towards the right: I've seen a clearer version of that same photo, and I'm certain that the tail is indeed pointing that way. That's the opposite direction from the plane's direction of flight, which suggests that the plane pirouetted clockwise half a turn after impact, throwing the tail section further on down the flight path than the front section. Comparing that aerial pic with the OS map, I reckon that the tail section was located at 663 148, which ties in closely with the coordinates given in Ian's 28/7/10 posting. I live in Kent and have close connections to the Chorley area, and back in 2004 I went to the Public Record Office (now National Archives) in Kew, London, and found the entire crash investigation file on the plane crash. It is very detailed (including some graphic photos), and if I remember correctly, puts the issue of blame on members of the flight crew for following the wrong radio beacon. It details the individual fatalities, and I believe they were mostly car mechanics on their way to England for a meeting of some sort. I will have to look it up. If you wish, I can get back there in the near future and copy the entire file, and send you it and maybe we can build a case for a memorial at the exact spot. Thanks Moff. The Public Records Office sent me a copy of the official report in 2009. I then wrote a more detailed article on my personal website (as it didn't relate to cycling). Nick Cutler, a cyclist who used to blog on here, also helped a bit with it. He is a pilot. There is a memorial on Winter Hill but I've not seen it for a while. i was 16 years old when the plane crashed, and i remember going to the spot were it came down with my friends, it wasnt far from the mast, i also remember picking up a bottom set of false teeth, which i put back on the floor, never thought no more about it. we also found pieces of perspect glass which we took home and filed it down to make rings for our fingers, sounds crazy now, but its true. Brian now aged 74 was a 20 year old P.C. at the time of the crash and was on site soon after, during the recovery of persons. He confirms that the stewardess was alive and in shock he thought she had a broken arm. He went into the cockpit and discovered the passenger list which he passed on to the Chief Constable Col. Eric St. Johnstone later that morning when he reported to him and Mr. Palfrey Asst. C. Constable at the bottom of Winter Hill. He insists that there was a small fire from the fuel which he put out with snow. He and two auxilliary fire men used a ladder to access the tail section, using it again to carry the survivors on the ladder to the I.T.V Station. I was 12 or 13 then & went up on my own probably the weekend after, I knew the moor well then. It was an eiry sight, I don't remember much wind, the middle fuselage section was shattered & the fabric & other flexible stuff was just flapping about a bit...........I went up a couple more times after that but it was the quiet of the first visit, the hostile landscape & weather & knowing that it had carried humans to that spot which was striking. There was one cop there as I remember to try & stop souveniers being taken, I got a bit of metal & what seem be part of a pair of mens pants, I nearly got a wooden stake through my heart when I took into the house. Nice photos thanks. I'm a descendant (great niece) of both of the Harding brothers who passed away as a result of the disaster. I am Manx and visited the site yesterday, for the first time. I was 12 when the crash occurred but remember the day well. The whole island was stunned- everyone knew someone who had died. My uncle (Bill Brown) was a policeman who was due to go on the trip with his father (a garage owner) but another policeman also wanted to go and my uncle had to stay at home. The next day my uncle made the trip there and he identified many of the bodies, including his father's. It was a dreadful experience for him but he always talked about the kindness and hospitality shown by the people of Horwich. My school friend's father was sitting in the rear of the plane and he survived the crash, although seriously injured. He was a very lucky man. Yesterday was a warm day, foggy but no wind. Looking around, I could only imagine the horror of that day and quietly remember those people who lost their lives. My father, John Sanderson, was Licensee at the Jolly Crofters on Chorley Old Road at the bottom of Winter Hill access road. He and Jack Speight who ran the post office/general store were in the digging party on George's Lane. When Dad returned back to the pub it had been taken over by the BBC Outside Broadcast and many journalists. I was at school in Rivington and because of the bad weather a farmer came with his tractor to drive me and other schoolmates who lived nearby back home and as we passed the Methodist Church we saw the bodies being taken in. A more detailed report from Dad's memoirs are in The Devil Casts his Net by Steve Morrin. I was invited to a memorial service and to make a recording of my memories at the then new Heritage Centre in Horwich. My father was a member of the Rotary Club of Horwich who annually connect with the RC of Douglas. I have no additional information but look forward to seeing the new book, especially as my copy of the original one was stolen about a year ago by someone calling himself Charlie Smith (who said he works for the Lancashire Evening Post).